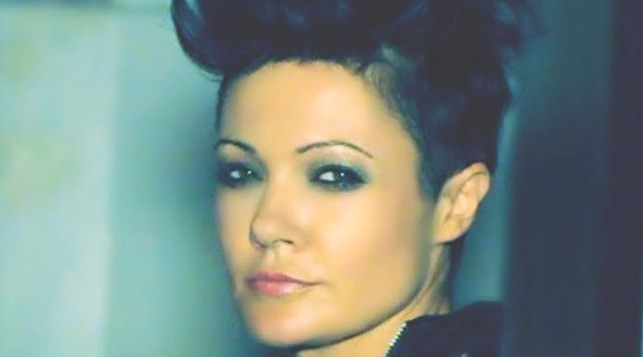 Sarah McLeod first stepped into the spotlight as the front woman of Superjesus, a band who quickly rose to fame in her native Australia with multi-platinum album sales and in the process winning multi awards including 3 ARIA’s, and a huge dedicated fan-base along the way. 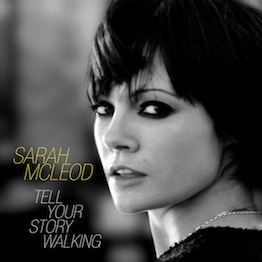 Sarah then moved on to write and record her debut solo album “Beauty Was A Tiger” (Co-written with Chris Peters of Electric Six). “He Doesn’t Love You” is a track from “Beauty Was A Tiger” and caught the attention of hot DJ / Producer, Hook n Sling. The remix that fast became a worldwide smash hit in the clubs and radio leapt to the number 1 spot on the ARIA Charts. Signed to Renaissance UK and supported by BBC Radio 1 and club DJs worldwide, the Hook n Sling mix of “He Doesn’t Love You” was the highest selling release for the label that year. In 2007, Sarah took time out to build a private studio for her record label. It was Grammy Award winner Jimmy Douglas (Justin Timberlake, Timbaland, Missy Elliot) that heard the new tracks first. Jimmy took Sarah under his wing, and after hearing her songs, he knew he had to get her into his studio in Miami to record. An extraordinary life changing experience awaited her. Sarah jetted off across the globe to Douglass’ studio “The Spot”, where they were joined by Grammy nominee, cult hip hop guru iLL Factor (Roisin Murphy, Ginuwine, Matisyahu). iLL Factor and Sarah discovered they had a unique musical chemistry, and iLL was instrumental in nurturing and drawing out and untapped side to Sarah’s compositions. It was like unlocking a whole new musical room for Sarah, resulting in her taking further time to develop and complete additional recordings, first with Paul Lani in LA and later penning more tunes at her new pad in North London for her yet to be filled studio album. 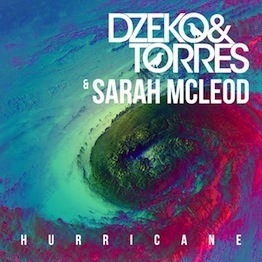 With her recordings, McLeod has created a distinctive sound unlike anything that she has done before. She wanted to remove herself from her “rock chick” moniker and combine the genres of Hip Hop, Rock, Pop and Elect; at times putting down the guitar to become what she terms ‘an entertainer’. “I wanted to write songs that I would never have dared write before and then entertain, ol’school style you know? Like Billy Joel and James Brown” says the sing; “I wanted to lay it all on the line, like every moment of delivery needs to be raw yet golden. I want to give people a real show”. Sarah McLeod now divides her time between the US and the UK. Having spent several months putting together a hot new band, Sarah has been performing in the US and more recently, commenced touring through the UK to packed shows. 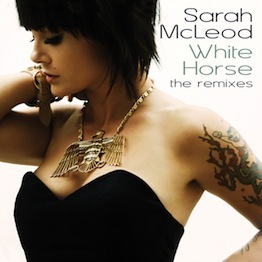 Following from her success with “He Doesn’t Love You”, have come the remixes of her track “White Horse” and “Tell Your Story Walking” from her album. Euphoric mix treatments by Whelan & Di Scala and Bass Kleph have blasted the UK Club Charts Top 10, Supported by BBC Radio 1 and championed by the likes of Judge Jules and hit dance radio across the US.